Every surfer needs a Groveler, an all-rounder, an insurance policy. The simple fact is this, the waves aren’t always going to be perfect when we feel like going surfing. We all need a board that will make the waist high, everyday conditions we have to deal with, enjoyable. This is where a Groveler shines, packed with volume, easy to paddle, but able to be thrown around when the steepest part of the wave presents itself. Here is a selection of our best small wave performance boards of 2018. Channel Islands kept getting custom orders for super short versions of the ever popular Waterhog and the results were too fun looking to ignore. 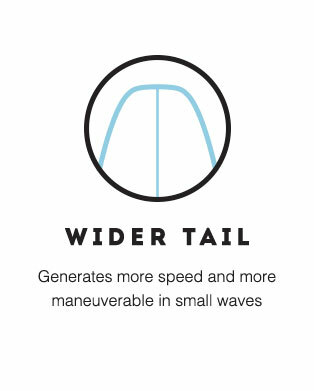 With a wide nose and generous rocker throughout, the Hoglet is a fun wave-catcher that can turn on a dime. Ride this board any length you want with options in your fin setup (Futures 5 Fin) and it will reward you. The Pyzel Gremlin was created to get you excited about surfing on days that were a bit smaller and mushier than ideal conditions. Extra volume is jammed into this shorter, chunkier version of the Phantom. This ensures you get quicker acceleration, sustainable speed, a board that paddles well and heightened level of stoke in the small stuff. The Chilli Bean is designed to maximise fun in average, everyday surf by catching almost as many waves as a longboard, gliding over those flat sections and being super responsive underfoot. The curvaceous outline, rounded tail and more relaxed rocker means that this board will be an ideal first shortboard or intermediate all-rounder. A radical template and innovative FutureFlex construction, has made the Hypto Krypto quickly become one of the most popular boards ever shaped. The Hypto has the ability to provide you with unimaginable speed, paddles like a dream and allows for critical manoeuvres. From waist high, gutless rubbish to cranking overhead swell, it is a true one board quiver. The Spud is a small wave groveler that packs a ton volume into a short, stubby package but has enough advanced elements to still deliver performance in smaller waves. Coming with the latest FCSII fin boxes and including a set of thruster and quad rear fins, mean you can easily plug in and go surfing. The Spud will push your small wave surfing involvement to another level. Libtech and Lost have teamed up to give you guys the Puddle Jumper which is designed to be a small wave board. 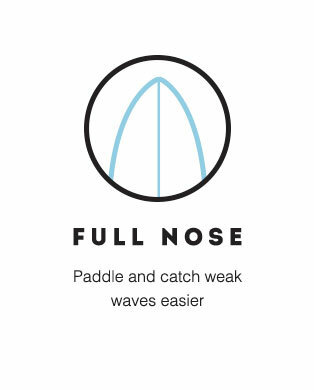 A wide outline makes for easy wave catching with down the line glide and stability. As part of the Libtech Eco-Isotropic range, this board is loaded with technology but is also environmentally friendly! The Modern Highline has a very full outline and is designed with the beginner - intermediate surfer in mind. 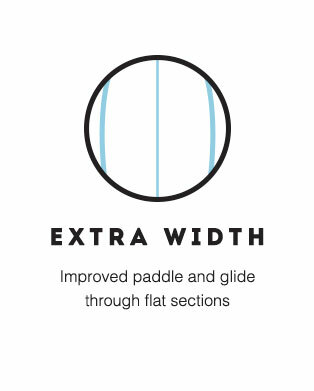 The amount of volume packed into the Highline makes it very buoyant, super stable and will making paddling less of a chore. The Highline if for the motivated surfer who’s ready to go no matter what the conditions and wants a platform to improve their surfing. 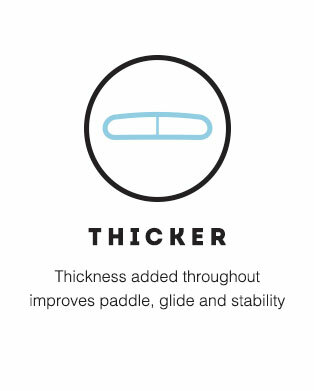 With years of expertise we are confident that we can help you find the right surfboard. With Free Shipping and Free Returns*, we have you totally covered.